Imprinting designs on mugs or on fabrics like t-shirts and caps is an accessible and a lucrative business nowadays. It requires very few expertise. Most importantly, you don’t need to invest huge amounts of money if you are thinking about starting a relatively small organization. You need to have mainly a heat press machine, a good printer, some transfer papers, and of course, the object in which you will imprint your designated design. That’s it, you are ready to earn some money. 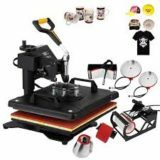 With the market being flooded with all sorts of machines, with different prices and functionalities, you are wondering which heat press will satisfy your needs. This is the very same reason that made me make this review. I am going to help you identify the best heat press machines for a small business. Here we will take a deeper look into five different heat presses in details. I will show you their functionalities and features. I guess that we are ready to jump into the individual product reviews. 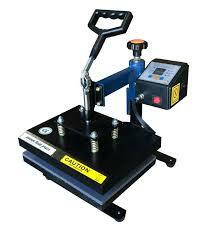 Let’s start with one of the most basic and instinctive heat press machine available in the market. 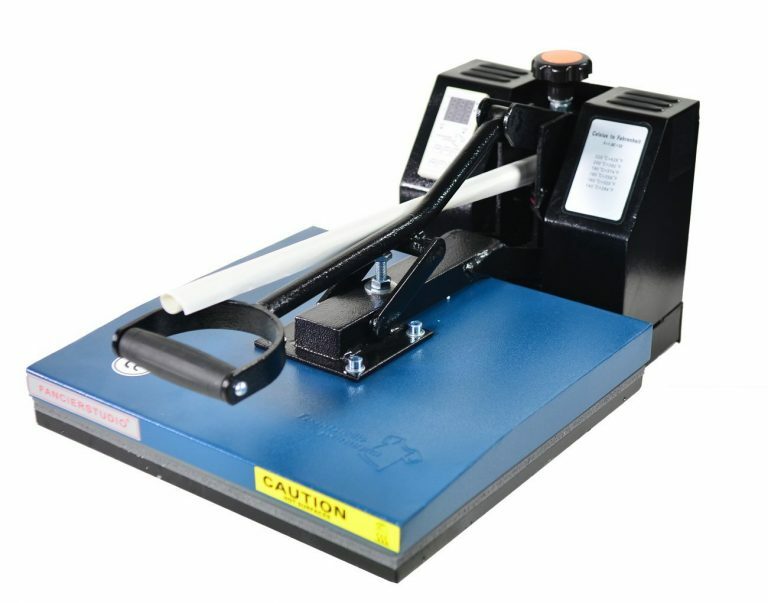 There are many factors that allowed this piece of art to be one of the best selling heat press machines in the market. Let’s highlight the most noticeable ones, then summarize them and add more reasons at the end of this section. Designated as a clamshell heat press machine, with its movable upper plate, any user could easily manipulate it without facing any kind of trouble. Simple to understand on the first sigh, you can place your t-shirt or generally any kind of tissue that fits between the platen, set the temperature and the timer and then apply manually some pressure by joining the upper platen which will be heated, to the lower one and wait for the timer to bip, to indicate the end of the operation. 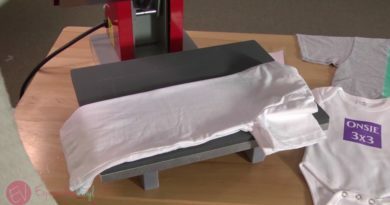 If you thought that a 300 Fahrenheit, or a 350 Fahrenheit, or even a 400 Fahrenheit is a good high temperature for t-shirts sublimation, then let us get the record straight; this machine could provide you with temperatures that can raise up to a 500 Fahrenheit (260 degree Celsius). As for the timer, it could be set in an interval that varies between 0 and 999s. Those parameters can be established using a digital monitor embedded into the machine. Having a thickened platen will allow the temperature to be evenly spread across all the surface of the platen; this means that you don’t need to worry about getting irregular results when imprinting your design to your tissue. With its swing-away design, you can rest assured that you won’t risk any burn injuries when manipulating this machine. The upper plate, which is the one that will be affected by the rise of the temperature can rotate up to 360 degrees. 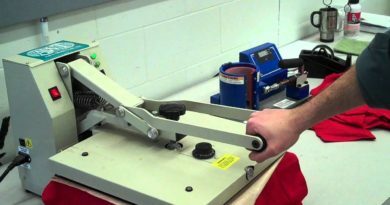 Thus you can avoid any contact with the platen when you need to place or remove your fabrics. 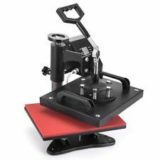 This machine includes also a Teflon made sheet to protect your objects, and the pressing plate has small magnets that will allow you to hold this sheet in place when using it. The Fancierstudio PowerPress has also other noticeable advantages: it’s compact and relatively small, so you can save a lot of space in your workshop. It has also an industrial strength, this means that it can survive for a lot of time even when used on a daily bases. The temperature can reach 500 f. Finally, its silicone rubber is glued down for safety purposes. Swing away design for safety purposes and precision, given the fact that you’ll be seeing the entire work surface; Dual display control box that will allow you to see the current temperature and time at the same time, thus, you do not need to switch between the two sides. finally, the Teflon coated element for extra protection to your garments, and to make it a non-stick surface. This machine and the previous one present similar features(small, light, swing away design), so if you are considering getting one of these, I personally think that you won’t be disappointed in either, so don’t over think it and chose the one that you feel will best suit you. The three heat presses presented previously are fully manual. If you are a fan of automatic or semi-automatic machines that work independently after putting your required settings, then this machine may be the perfect match for you. As you could guess, this heat press has an automatic magnetic opening and an assist lockdown feature. Designated as a clamshell machine, this device will allow you to avoid heating and ruining your fabrics because of an unintentional timing error. It is possible by automatically separating the upper and lower platen when the timer’s limit is reached. It offers also a digital controller for inputting your temperature and time parameters. There is also an adjustable pressure knob to wield your pressure according to the different materials used. This auto open heat press machine uses advanced spring air to make an exact transfer on t-shirts, pillowcase, cloth, jigsaw puzzle, etc..
We have given you some of the best heat press machines for imprinting on flat fabrics, such as t-shirts and towels. 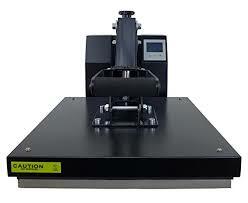 Now is a good time for us to explore another type of heat press machines: the multifunctional heat press machines. To be able to do such a variety of actions, this widget utilizes quick-change attachments that you could equip depending on the type of fabric you are using. As for the temperature, it can range between 33 ° Fahrenheit to 482 ° Fahrenheit, and the timer can be set between 0 and 999 seconds. The manufacturers also added a built-in led screen and timer to ensure that you are never going to be applying heat for more time then you need. As for the design, it’s the swing away one which will prevent you from accidentally touching the heated upper platen. This machine exists also with a 15*15 heat plate and a 12*15 plate. 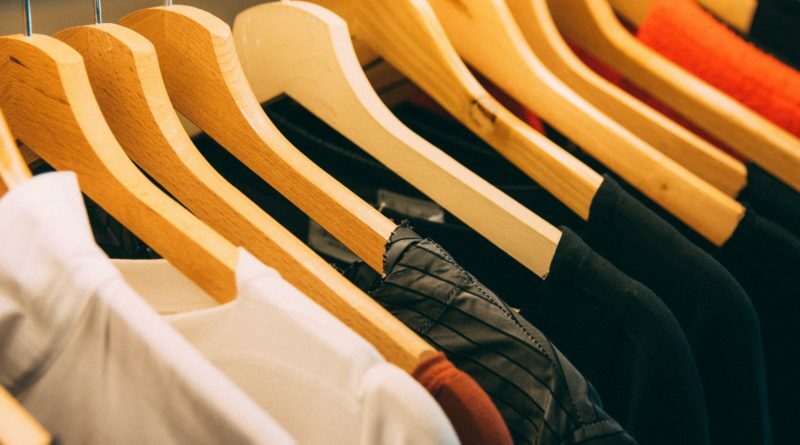 Although we gave you some information about specific heat press machines, you need to remember before you jump to your wallet that there are many other factors that you need to take into consideration. Such as your capital, the duration of the warranty, the materials of the machine etc.. Moral of the story, the best heat press machine for a small business is different from a person to another depending on many factors. 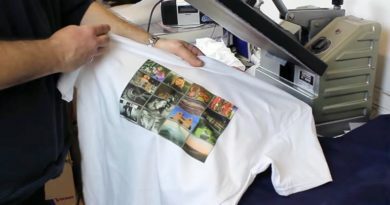 Check out my article about how to start a T-shirt printing business at home for more information. ← What is the cost of a heat press machine ?